Health and Fitness Den: Comparing WaterRower M1 LoRise versus M1 HiRise Rowing Machine, What's the Difference? 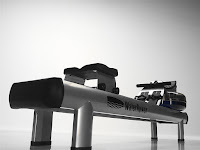 The WaterRower M1 LoRise and M1 HiRise Rowing Machines incorporate the same functionality as WaterRower’s original hand-made wooden machines but are constructed with a coated tubular steel frame more suited to a commercial gym setting. As the names suggest, the main difference between the WaterRower M1 LoRise and M1 HiRise comes down to the height of the seat. The M1 HiRise features elevated legs, offering a higher seated position at 20” above the floor compared to the M1 LoRise’s 12” seated position. The M1 HiRise’s elevated position makes it easier to mount and dismount and is ideal for athletes recovering from injury or mature users. 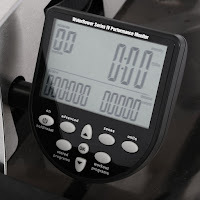 There’s a slightly higher price tag with the WaterRower M1 HiRise machine, which retails online at around $100 more than the M1 LoRise. This is a relatively small price to pay for the added benefit of the higher seat. Apart from the difference in overall height, the WaterRower M1 LoRise and M1 HiRise are essentially the same machine, offering smooth self-regulated resistance with its “water flywheel” that mimics the feel of real water rowing. Simply paddle faster to increase the drag for more resistance! The seat on both these WaterRowers sits on dual rails with 4 corner wheels for increased stability, and offers a user weight capacity of up to 1000 lbs. 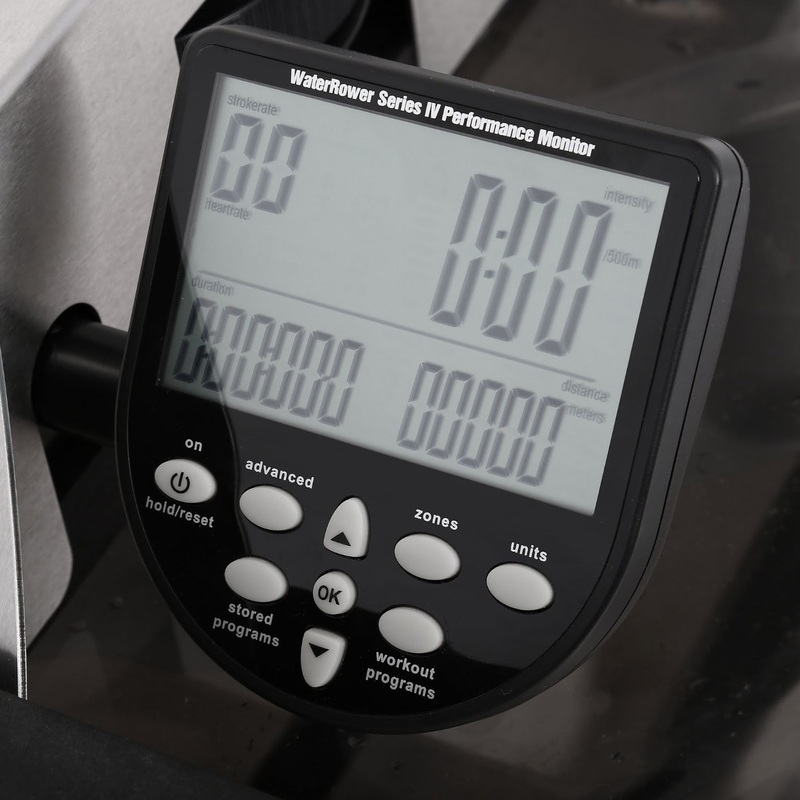 There’s very little maintenance with the WaterRower M1. No oiling is necessary thanks to the M1’s smooth nylon strapping (no chain!) and a pulley-free bungee cord. The water tank is fully enclosed so you won’t get any build up of dust in the water. The steel frame is easy to clean and is rust-resistant. Both the WaterRower M1 LoRise and HiRise rowing machines come with a Series 4 Performance Monitor, enabling you to keep track of your workout stats such as time, distance, intensity, stroke rate, zone bar and heart-rate (chest-strap & receiver available separately). The Series 4 Monitor is easy to use with 6 Quick Selection Buttons and 3 Navigation Buttons. Information is displayed across 6 information and program windows. 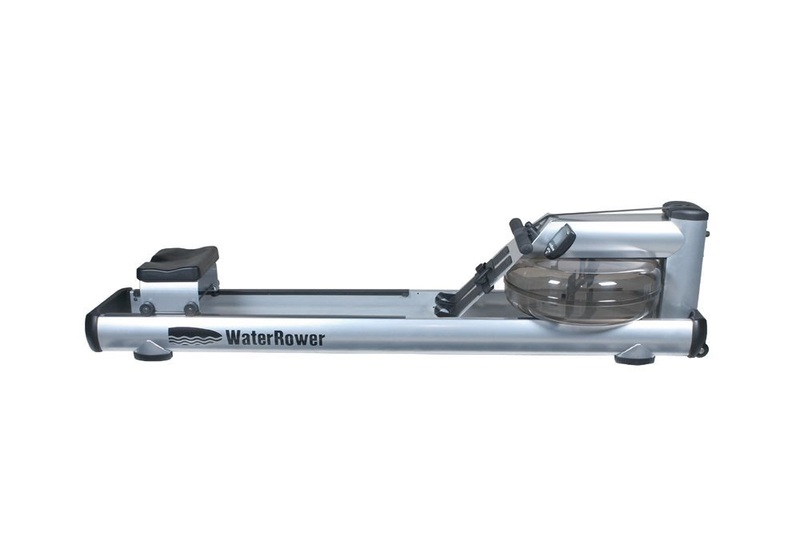 Both M1 WaterRowers can be flipped upright for easy storage and to save space when not in use. Useful tip: Exercising on a Rowing Machine for just 30 minutes could burn between 262-449 calories for women or 310-531 calories for men, depending on the intensity of the rowing. 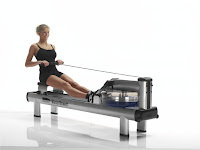 Both the WaterRower M1 LoRise and HiRise are high-quality rowing machines suitable for high-intensity home and commercial use. The high-grade aluminum construction looks sleek and modern and will complement most other commercial gym equipment. The M1 LoRise is similar to the standard height of most rowing machines, so if you’re happy with this then opt for the LoRise model and save yourself some hard earned $$s. 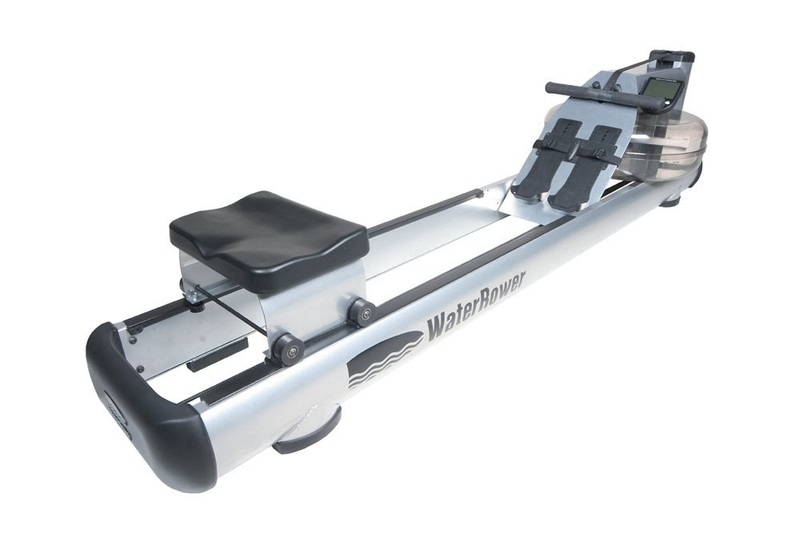 However, if you like the idea of an elevated rowing machine that is easier to get on and off, then opt for the WaterRower M1 HiRise. For the relatively small extra cost, the HiRise model will be most appreciated by rehabbing athletes and the more mature users.